Spread across 3500 sq ft with over 45000 titles on display in a carefully planned layout, the showroom is the book lovers paradise. JBD has the largest collection of Government publications and Law books under one roof. Besides, we offer books on plethora of subjects like Management, Engineering, Medical, Foreign Trade, Economics, Taxation, Interior & Fashion Designing, Motivation, Career & Competition, Travel, Fiction & Non-Fiction etc. Also on display are Directories, Dictionaries & Language books, Maps, Abstracts, Hindi books, Children books along with exclusive display of Nabhi books. JAIN BOOK DEPOT is the brain child of Mr. Nabhi Kumar Jain, the dynamic founder of the famous publishing house Nabhi Publications. In the words of Nabhi Kumar Jain we cater to all sections of book lovers from researchers to students and from leisure reader to avid reader. Not only locals but also leisure travelers and tourists who love books get a treat to their senses here. Our constant endeavour is towards maintaining highest business standards and providing unparallel customer satisfaction. Jains aim is to achieve numero uno status in the book trade. The climb has already begun............ .
Nabhi publications was started in the year 1967 by Mr. Nabhi Kumar Jain, the then 19 year old law student who wrote a simple book on Delhi sales tax. This humble beginning soon blossomed into one of the foremost and innovative publications in the field of law, business and commercial books in India. Today Nabhi books are synonymous with authenticity, simplicity and affordability. The publication has witnessed a meteoric rise in the last 40 years, escalating its standing as the bellwether in the publication of commercial and business books. Each Nabhi book is a wealth of information, published to provide complete information in a simple and cogent lingo. The main THRUST OF NABHI PUBLICATIONS lies in providing complete information at very affordable prices. Nabhi books cover a wide range of subjects like Central Government Employees, Construction, International Trade, Taxation, Company matters, Foreign Exchange, Investments, Finance, Service Laws, Commercial Laws, Local Laws for Delhi etc. which are also available at all leading bookstores throughout the country. Nabhi books enjoy patronage from both laymen and professionals. The most widely read textbook in the history of medicine - made even more essential to practice and education by an unmatched array of multi-media content. 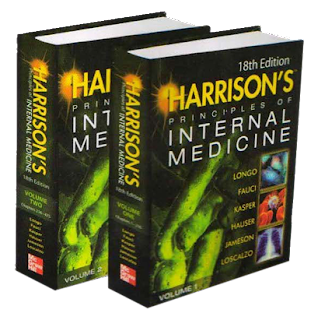 Acclaimed for its unique balance of pathobiology, cardinal manifestations and signs of disease, and best approaches to current patient management, Harrison's Principles of Internal Medicine continues to set the4 standard as the most widely read clinical reference in medical knowledge available anywhere, and its all inclusive coverage reflect the critical, recent advances that have shaped the field of internal medicine. the unsurpassed value of Harrison's as an outstanding clinical, educational, and lifelong learning and professional development tool. The new 18th Edition will have more multimedia content than ever before! Image bank with over 1500 images and illustrations that can be imported into PowerPoint presentations. A comprehensive, masterpiece video from internationally renowned clinical - educator Martin Samuels, MD, which takes you step-by-step through the neurological assessment and examinations. Hundreds of additional bonus videos exclusive to Harrison's, including new videos on patient assessment and gait analysis in various conditions. A special tribute to longtime Harrison's editor, Eugene Braunwald, MD.